It's about time I got some of these units finished! 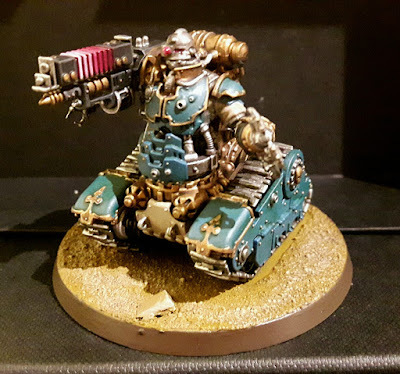 As part of an ongoing build 'n' paint campaign with a group of friends I have been trying to finish off the odd model here or there that will allow me to field complete units. I have a bad habit of painting 80% of a squad and then never finishing the last one or two models. 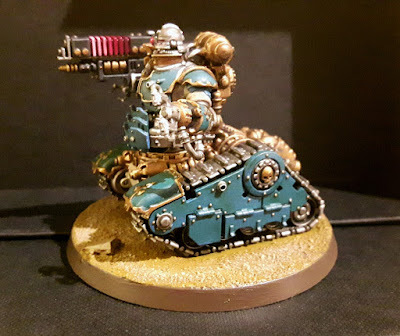 The last Breacher is finally finished! 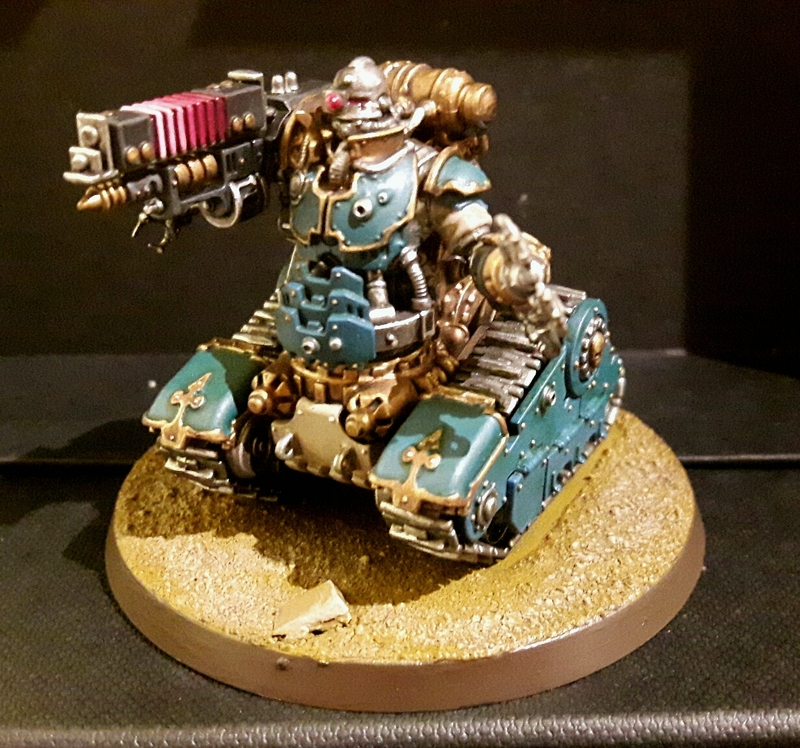 With that in mind I have been working on my third Kataphron Breacher, a squad that I started painting back in April this year! I'm really happy to have finished these guys. Although I am pleased with how they turned out, they aren't my favourite models and finishing the squad really felt like an uphill struggle at times. Hopefully they will redeem themselves on the tabletop and gain some favour in my eyes. Having said that, he does look pretty. 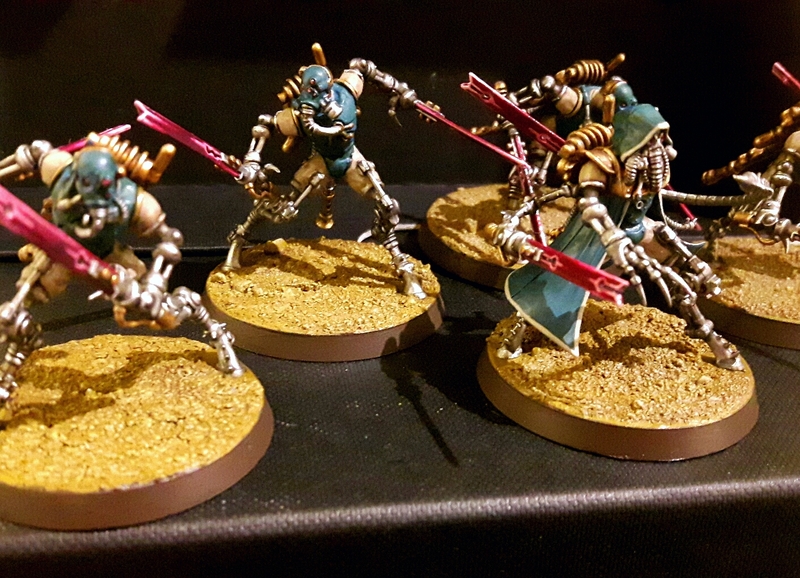 I've also finished painting a squad of Sicarian Ruststalkers. Now these guys do include one of my favourite models in the form of the Ruststalker Princeps. I love the dynamic posing of these models and the detailing. Like most of the Skitarii stuff they really are superb. General Grievous? Never heard of her! Anyway, all of those odd models brings my painted total up to 915 points. I feel like I've come a long way since I posted about completing 500 points back in September. It certainly puts me in a good place for playing 1000 point games with a fully painted army during December. 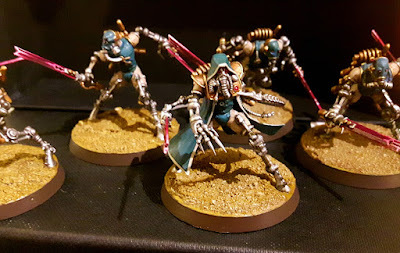 As far as the Ruststalkers are concerned, they're probably the least competitive variant of the Sicarian kit under the current rules. They don't cause enough mortal wounds to be truly threatening because they don't have chordclaws. They also lack the ranged weapons and deepstriking abilities which make Infiltrators so useful. Nonetheless I'm determined to keep fielding them and I'm sure I will figure out how best to use them eventually. Stay tuned to see what comes off of the painting block next!